The 2018 Masters isn’t here yet but April can’t come quickly enough for fantasy golf fans. The Masters Tournament will once again see the top golfers in the world play the most famous golf course – Augusta National. 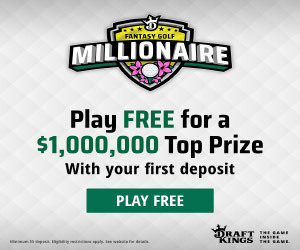 Top PGA Tour players like Dustin Johnson, Jordan Spieth, Jason Day, Justin Thomas and Rory McIlroy will all be guys that you will look at for your DraftKings Fantasy Golf Millionaire Contest as anchors for your lineups. Our 2018 Masters Preview is kind of an early look at the top players that you will look at when making your DFS lineups. These are the top tier golfers so they will also be the highest priced players at sites like DraftKings or FanDuel. 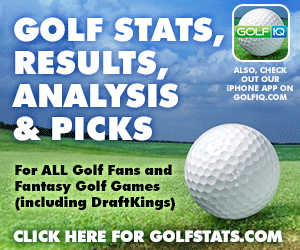 If you are building a fantasy lineup, you will also want some sleeper picks to fill in, those we will have posted on the site as the Masters Tournament gets closer. Where Can You Watch The Masters? Prize Pool For The 2018 Masters? If he hadn’t fallen down some stairs the week of the Masters last year he may have won his 4th tournament in a row. He’s finished 4th and 6th the last two times he’s played Augusta and will be a heavy favorite to win outright. Had his worst showing at Augusta last year finishing in 11th…yes, that was a bad year for Jordan! Otherwise he’s won once and had two 2nds. Even if Spieth doesn’t win, he should be right up there on the leaderboard on Sunday. Day’s had some struggles both with health and personal issues but it seems that’s all behind him. Has played well so far in 2018 and if he’s still hot leading up to the Masters then look to slot him into a few Fantasy Golf Millionaire Lineups. One day I’ll be right! OK, so the last four years I have said to take Rory McIlroy as a top fantasy pick for the Masters – I’ve even picked him to win it. He hasn’t won (yet) but he has four straight Top 10 finishes at Augusta. He is always a threat to win and who knows…maybe this is the year! He has played just OK at Augusta but he does enter the 2018 Masters in search of the second leg of a Grand Slam (he won the 2017 PGA Championship). He may not be in the elite level like the other guys are…but then again neither was Spieth when he came in second his 1st trip to Augusta. I honestly believe that Matsuyama has a chance to win every tournament he enters – his game is just that good! He finished in 11th in 2017 and had two Top 10’s prior to that. He will still be a costly fantasy golf pick but he may be a bit more affordable compared to the other guys above. Also, look for putters how have good stats playing on Bent Grass. Veterans play well at Augusta so don’t be shy on guys like Phil Mickelson, Matt Kuchar, Lee Westwood and Zach Johnson.